Guests had the chance to make their mark on a new work of art commemorating the special day for Molly and Javier. I love all of the creative uses of succulents in place of traditional flowers! The See Canyon Fruit Ranch, a 100 year old working apple farm, served as the backdrop for Courtney and Scott’s rustic wedding and inspired their vintage barn style theme. 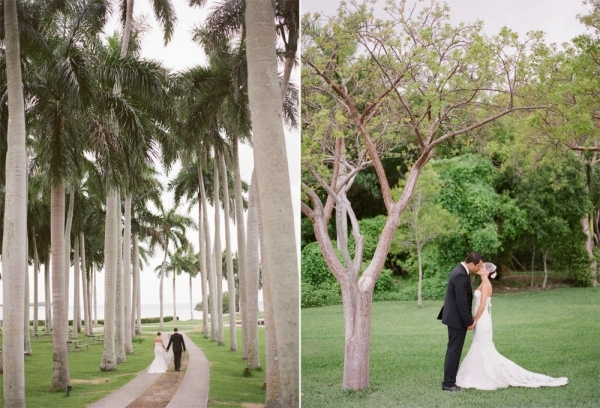 The couple wanted to focus on the joy of the day, and according to Courtney, what color demonstrates joy better than the color yellow! Birds were incorporated where they could be and the talents of friends and family were called upon to help lend a personal touch to the day. What creative (DIY) or personal aspects did you include in your wedding? Don’t focus too much on the trends that you’ve always seen, do what represents you. Be true to yourself and put personal touches where you can but don’t get too obsessed over the details. It is the marriage that is most important, not the wedding. 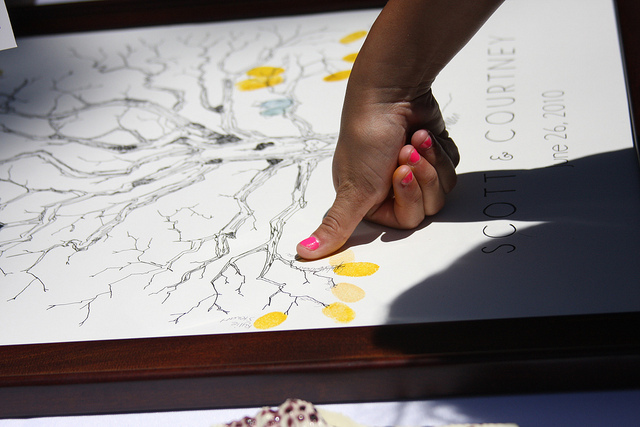 It’s a tie between our cake topper and our thumbprint tree. 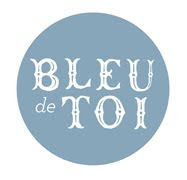 Our thumbprint tree, special made by Bleu de Toi was beautiful, our guests had so much fun putting their thumbprints on the branches and signing their name. We have it hanging in our living room as a reminder of everyone that helped make our day so special. Leaving the wedding feeling a sense of accomplishment and excited to start our new life together. The milk glasses were from barnwhiteco who is no longer an active seller on Etsy. 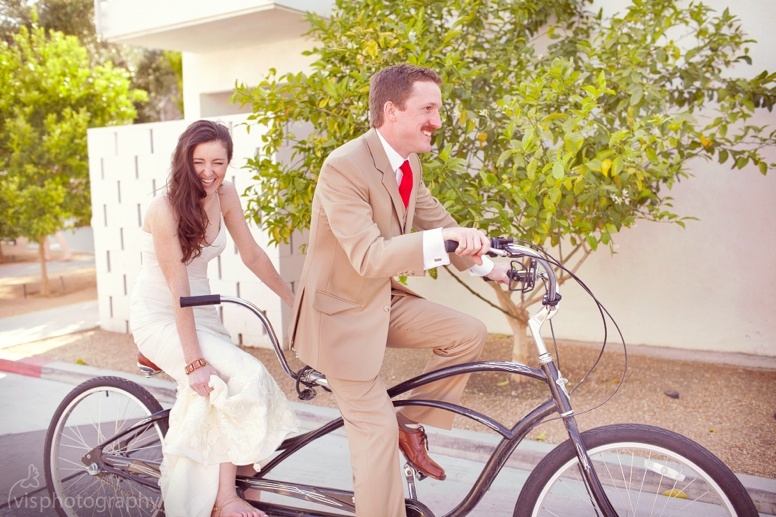 First photo credit: Vis Photography from this classy Palm Springs wedding. 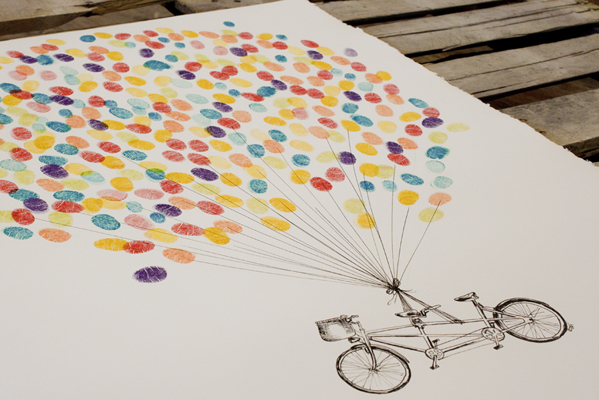 Second photo, credit Bleu de Toi's new tandem bike guest book fingerprint balloon drawing.